The Kwan Um School of Zen’s teaching lineage comes through Zen Master Seung Sahn from the Korean Seon tradition, which descended from the Chinese Rinzai lines and became separate around the year 1200. Famous Zen Masters in our lineage include the six Zen Patriarchs from Bodhidharma to Hui Neng; and their descendents Ma-tsu, Pai-chang, Lin-chi and Tae-ko. Zen Master Seung Sahn received Dharma Transmission at the age of 22 from Zen Master Ko Bong who received transmission through the noted Korean Zen Masters Man Gong and Kyong Ho. 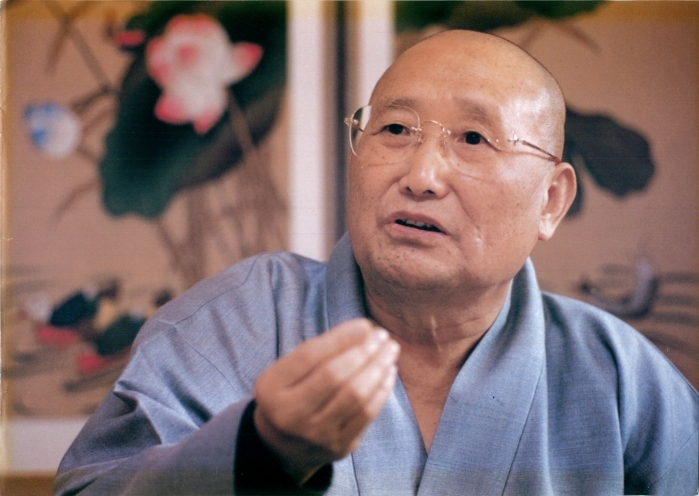 The School’s teaching authority is derived from the founding teacher, Zen Master Seung Sahn. He was the 78th teacher in his line of Dharma Transmission of Korean Seon. All students of Zen Master Seung Sahn to whom he gave Dharma Transmission are thus the 79th teachers in their personal lines. In all he gave transmission to 11 of his students.